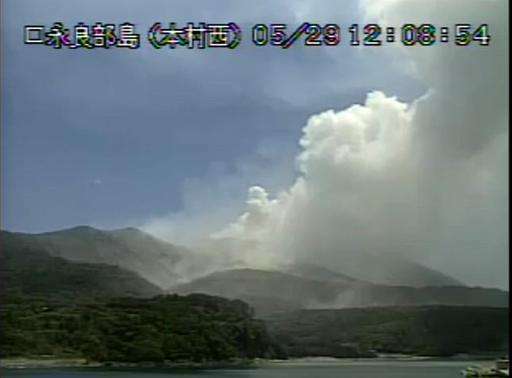 Footage by the Japan Meteorological Agency captured the moment the plume rocketed into the air from Mount Shindake on the far southern island of Kuchinoerabu. Around 130 people live on the island but there have been no immediate reports of damage or any injuries, a representative of the police on nearby Yakushima island told AFP. Kuchinoerabu does not have its own police station. The weather agency raised its warning level to level five—the top of its five-point warning system—and said evacuation was necessary. 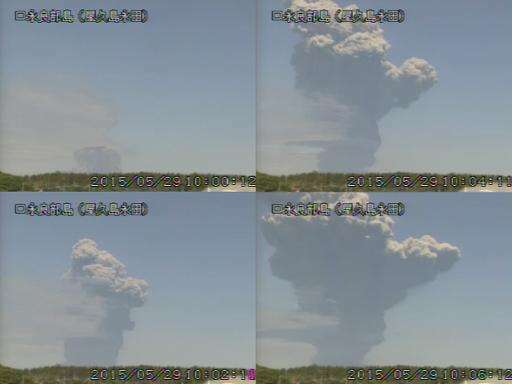 "A volcanic eruption occurred at Shindake at 9:59 am (0059 GMT). Along with this eruption a pyroclastic flow reached the coastline" of the island, the weather agency said. Japan sits at the junction of several of the Earth's tectonic plates and is dotted with active volcanoes.